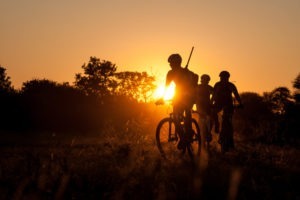 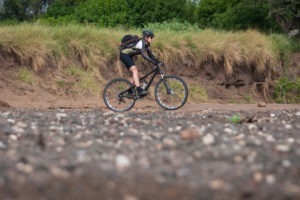 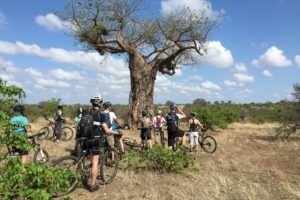 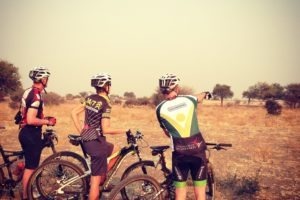 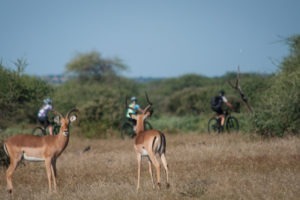 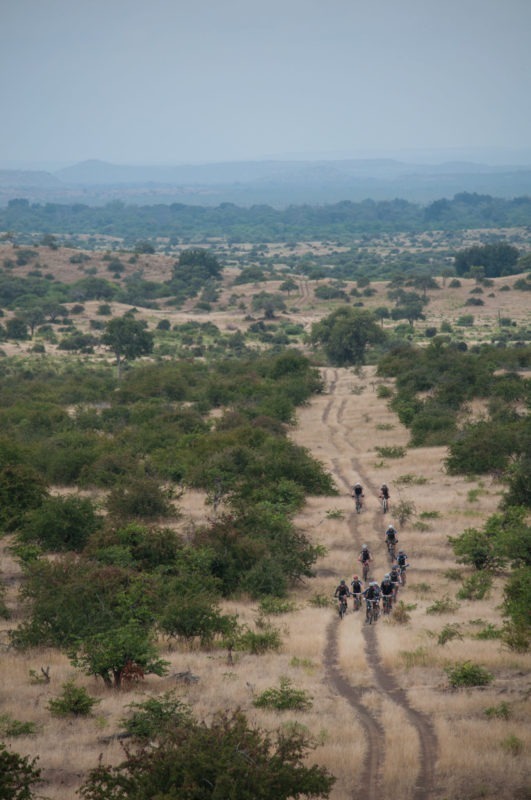 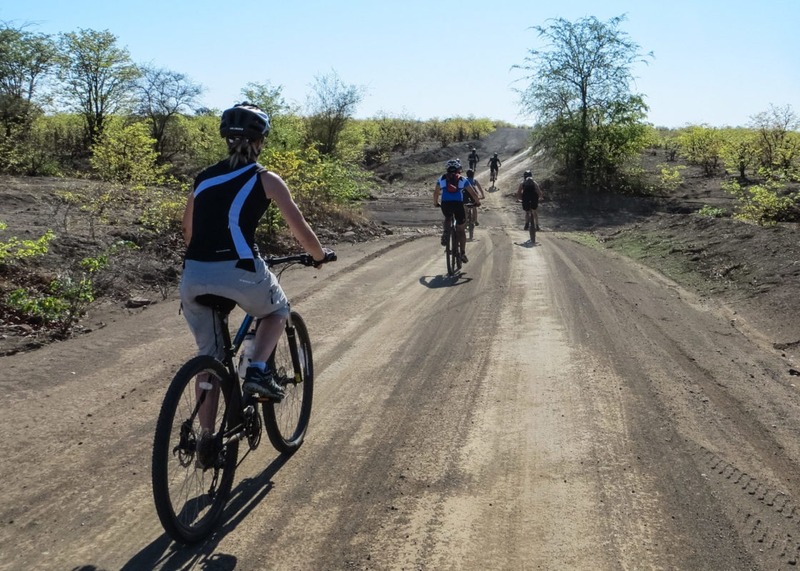 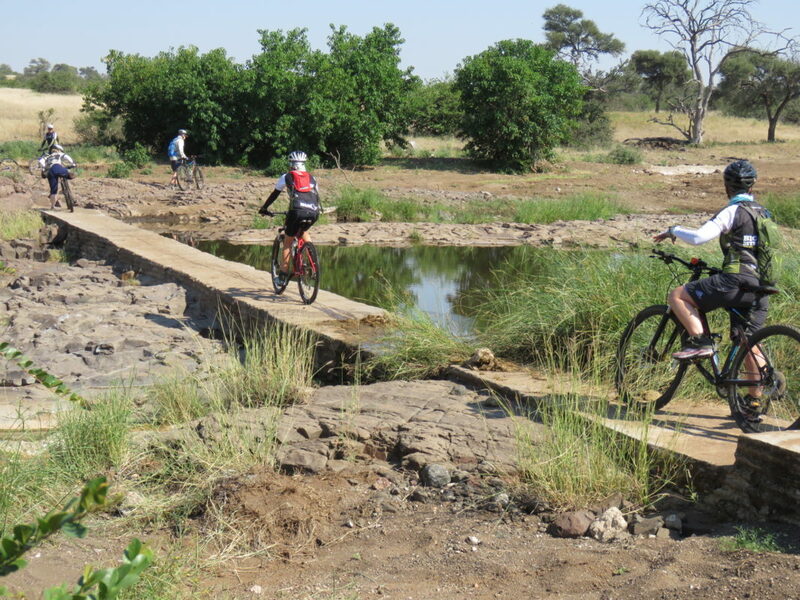 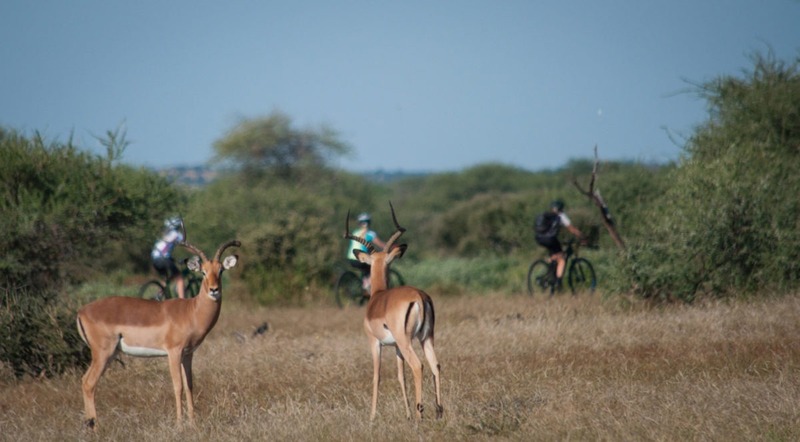 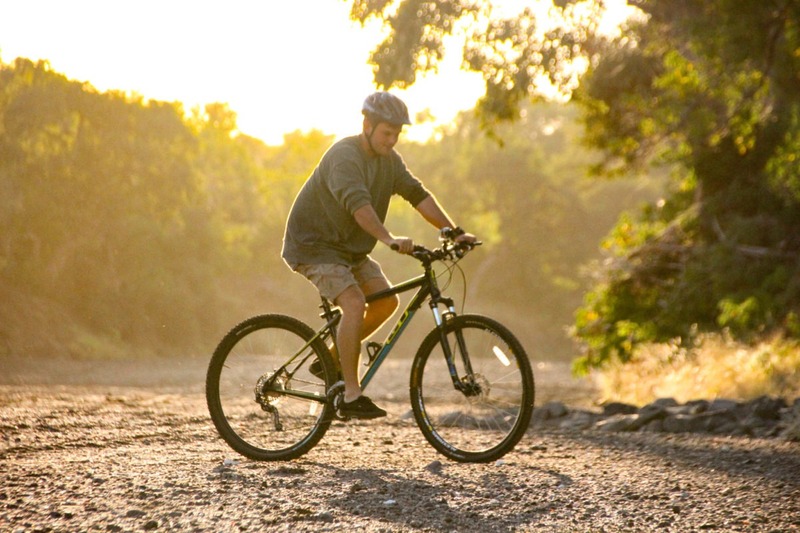 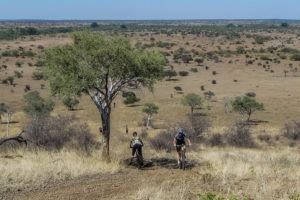 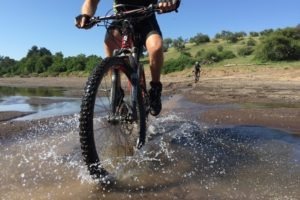 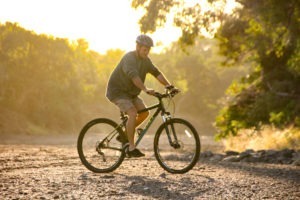 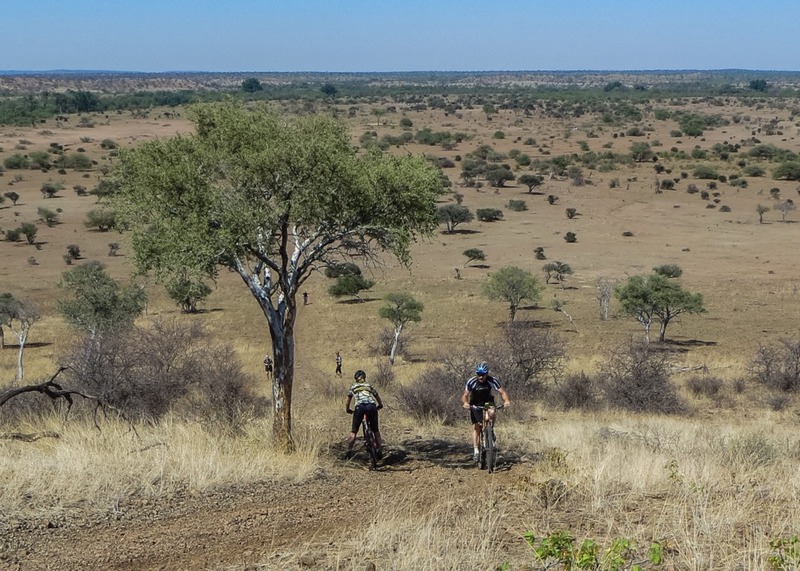 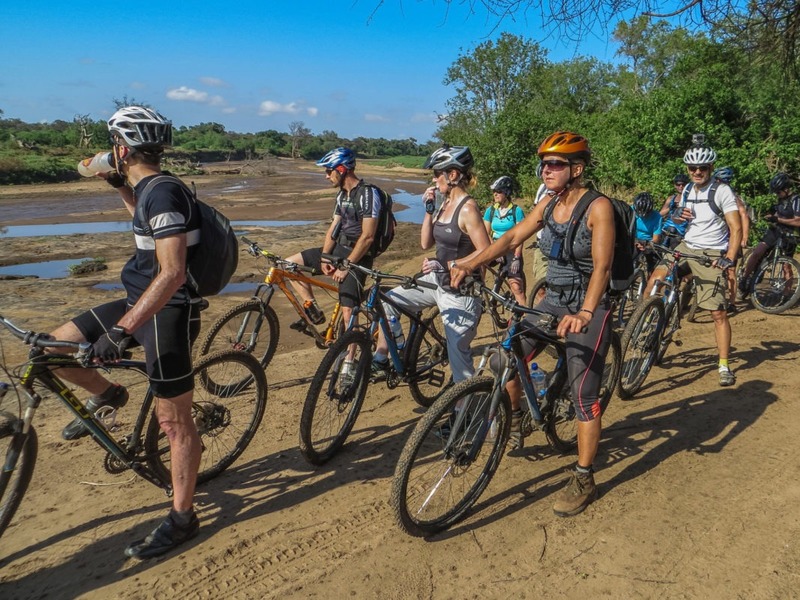 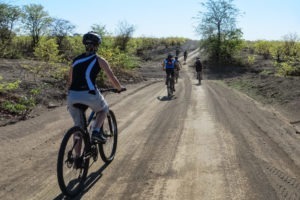 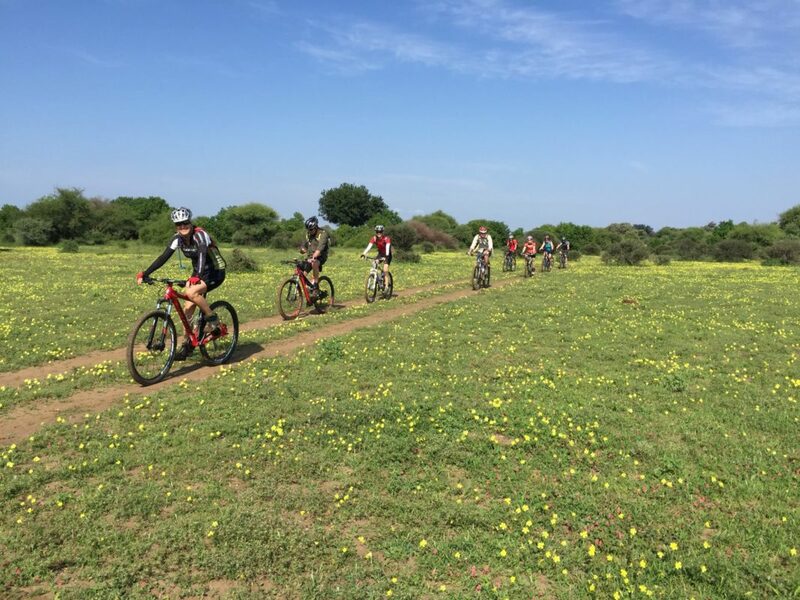 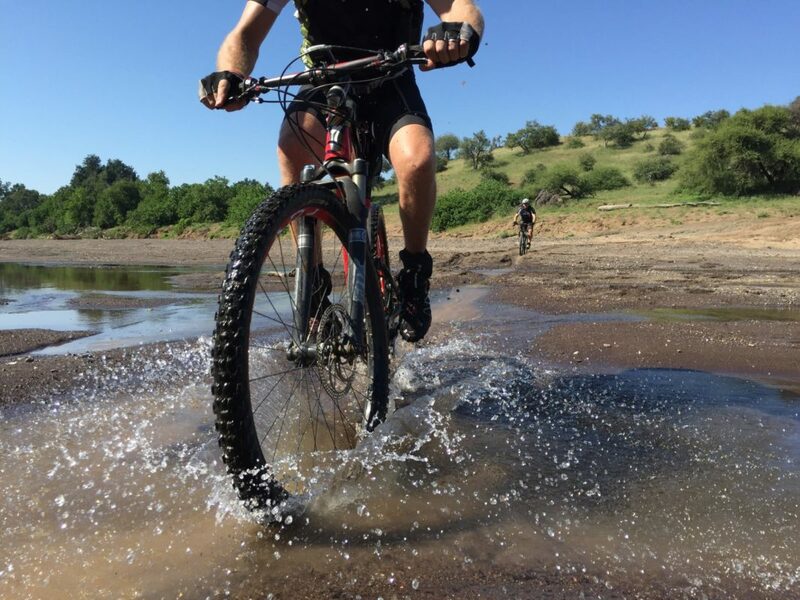 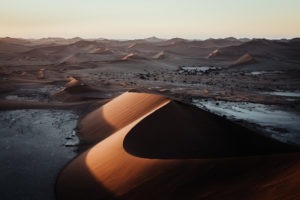 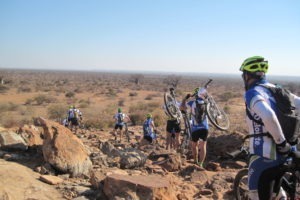 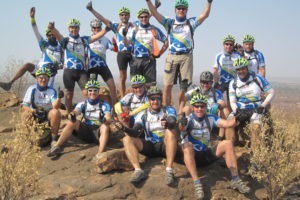 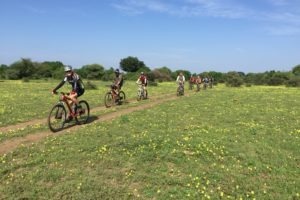 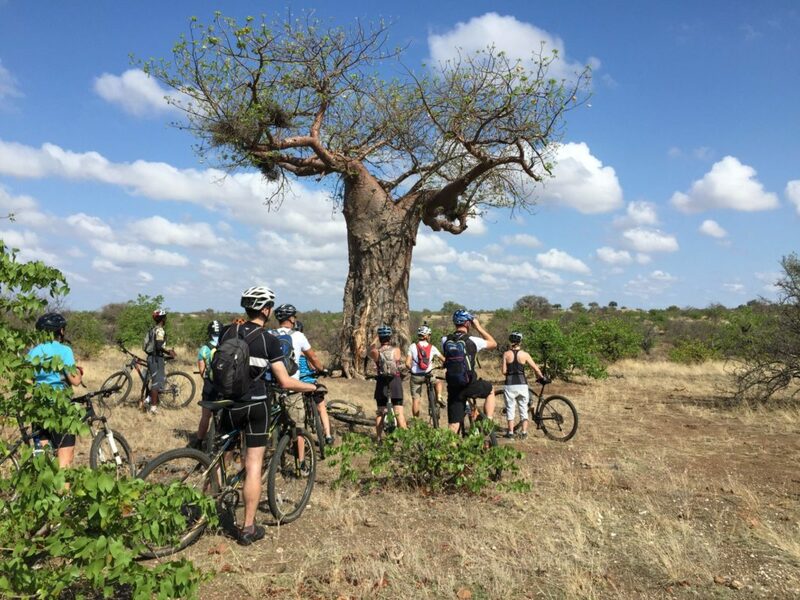 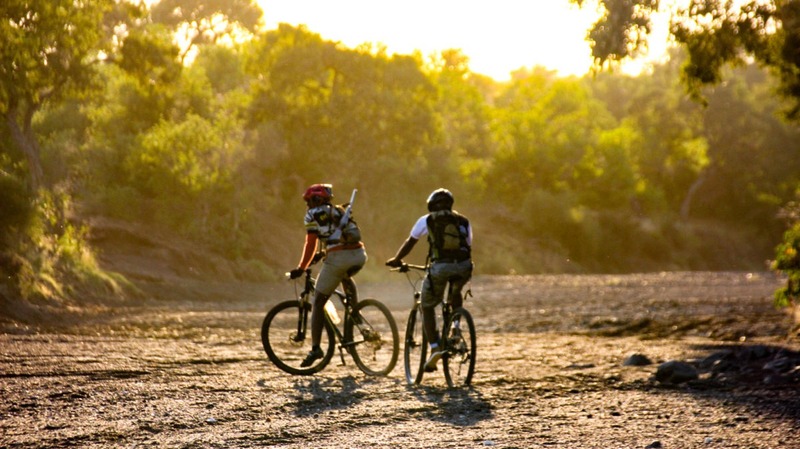 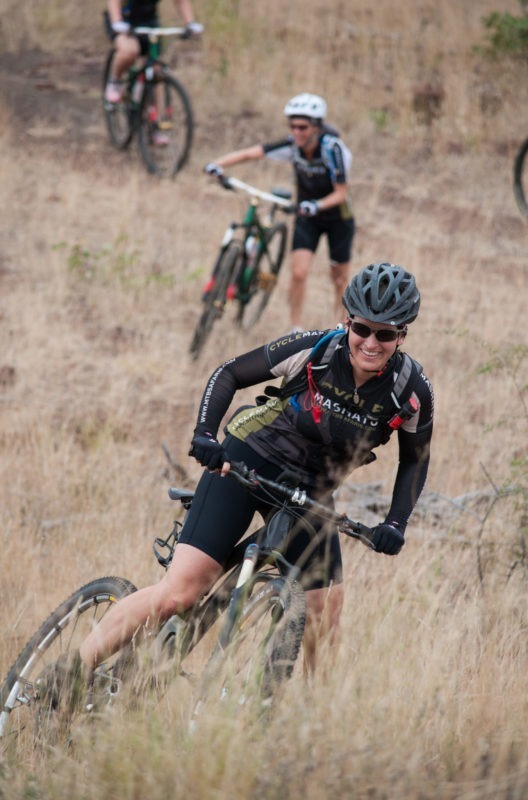 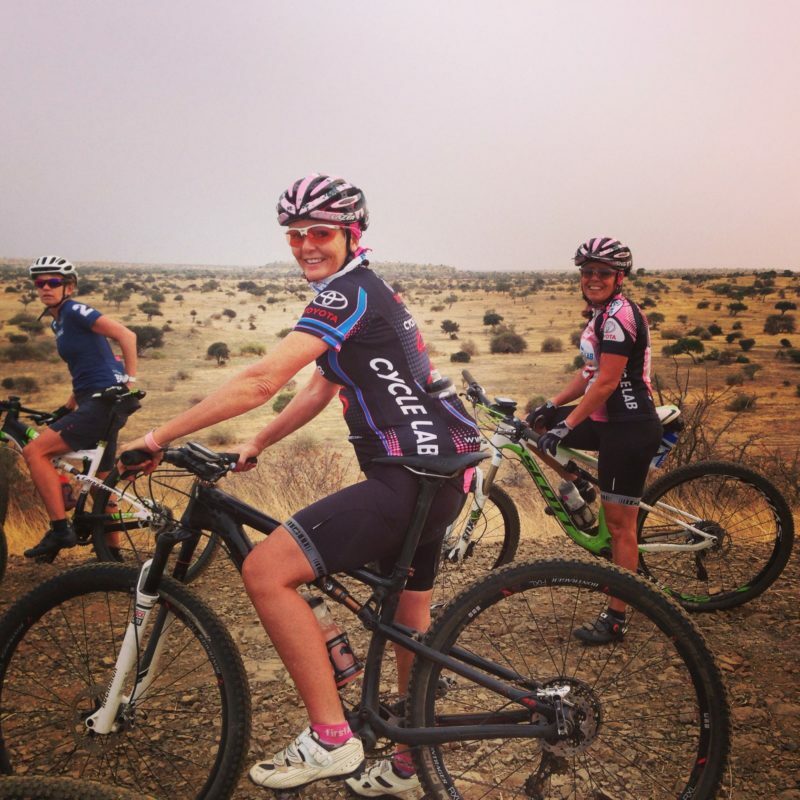 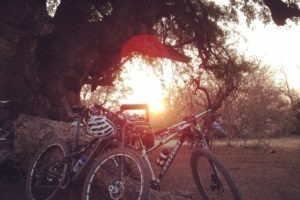 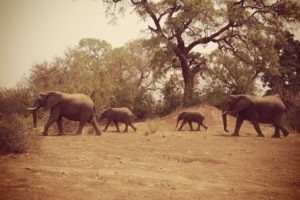 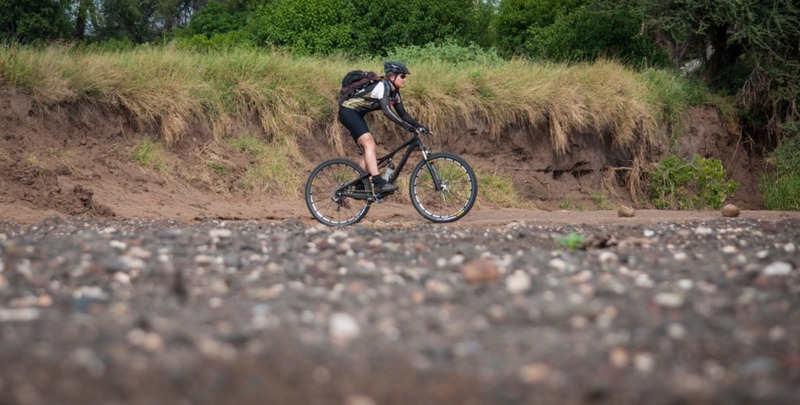 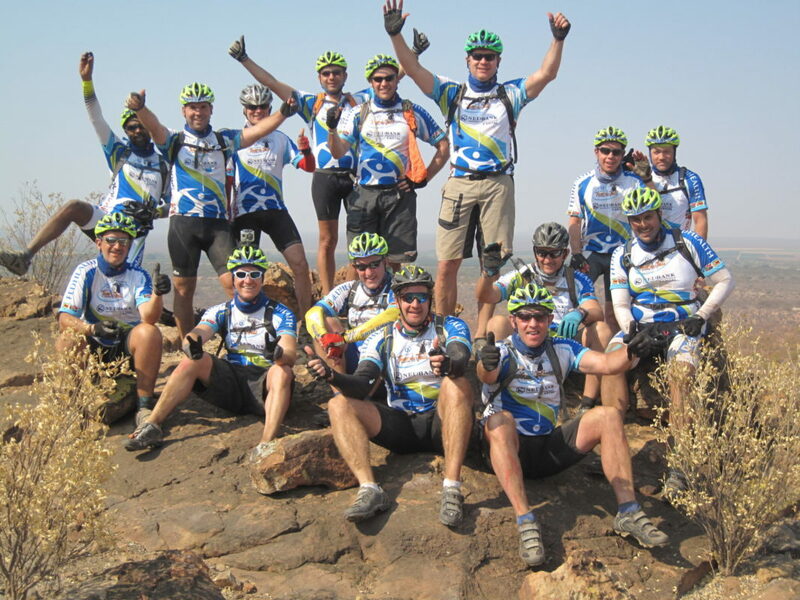 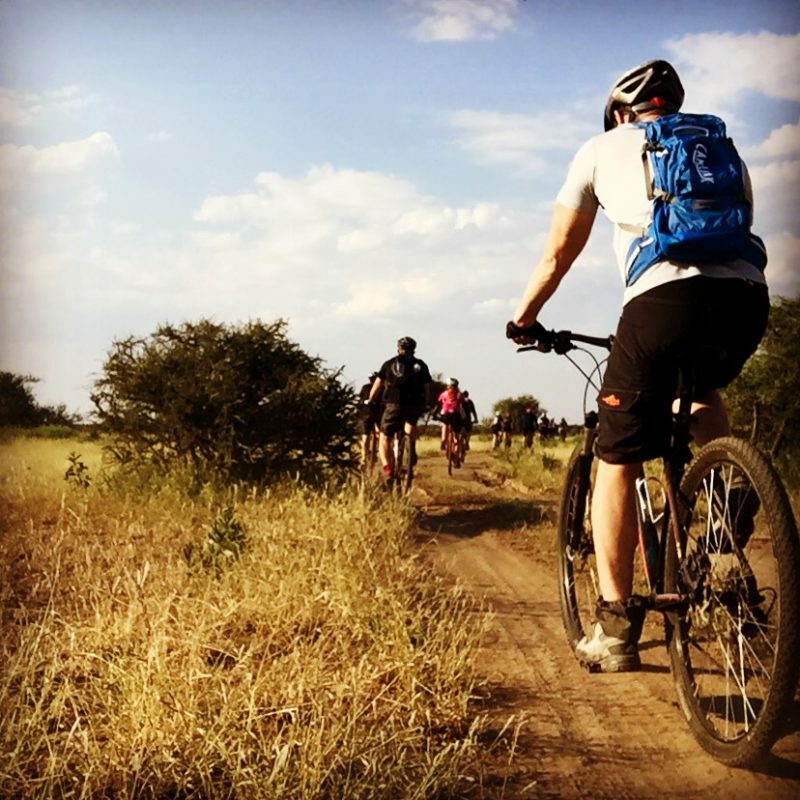 This safari takes you on a three day / four night mountain bike cycling safari in the vast remote wilderness of the Northern Tuli and Mashatu Game Reserves, host to many elephants and most predators – including lions and leopards. 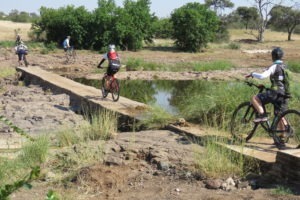 The distance, pace and routes are tailored to each group with the aim being to ride four to five hours per day, covering 30 to 40 kms (20 to 25 miles). 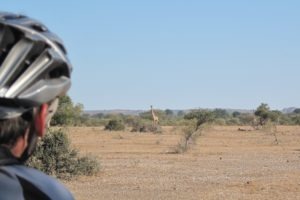 The pace is generally easy going with regular game sightings, and scenic picnic stops where we stop, relax and regenerate. 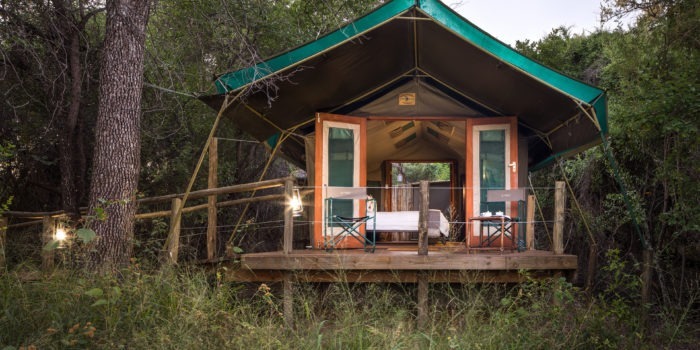 Accommodation is in rustic wilderness camps, including the famous Kgotla – a traditional meeting place bush camp. 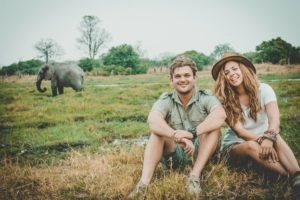 Two experienced professional rangers accompany you on the safari. 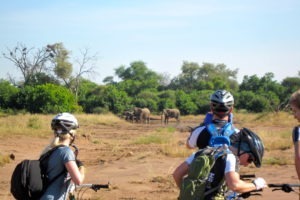 Due to heat in warmer months, the safari only runs from March to October with departures every Tuesday and Friday. 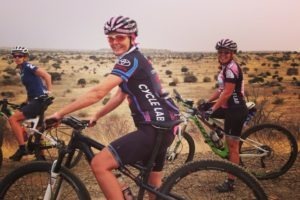 Guests must be at least 12 years old. 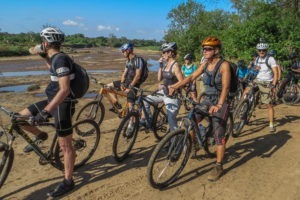 Groups are limited to a maximum of eight cyclists. 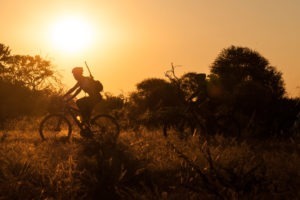 The safari offers an extraordinary opportunity to ride at leisure along ancient elephant migration paths, cycle through vast herds of wildlife and to sleep under starlit African skies. 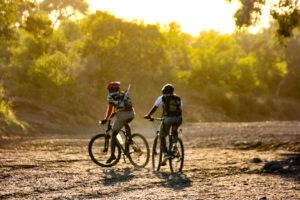 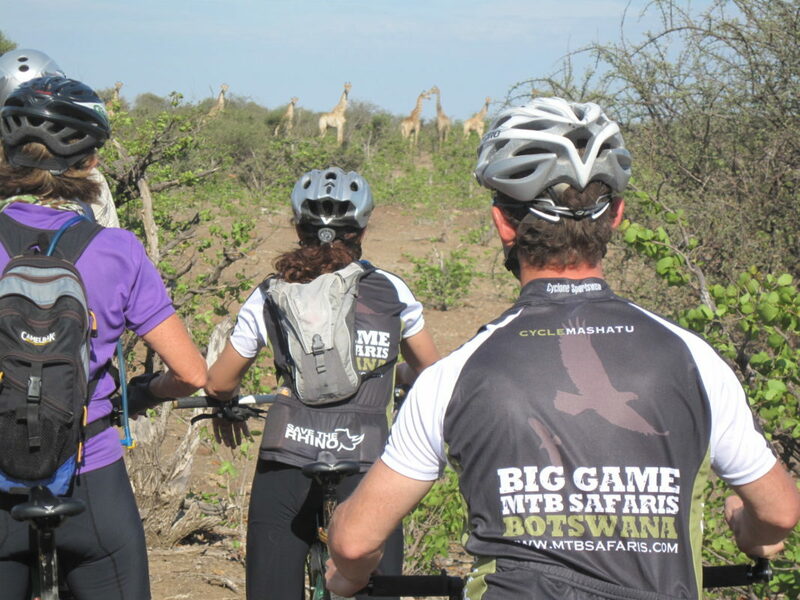 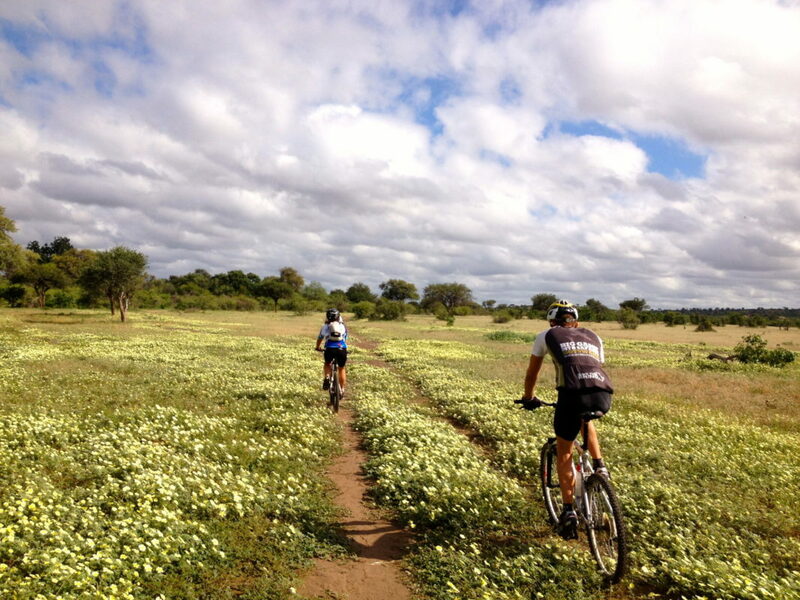 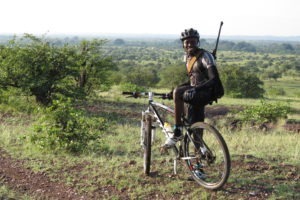 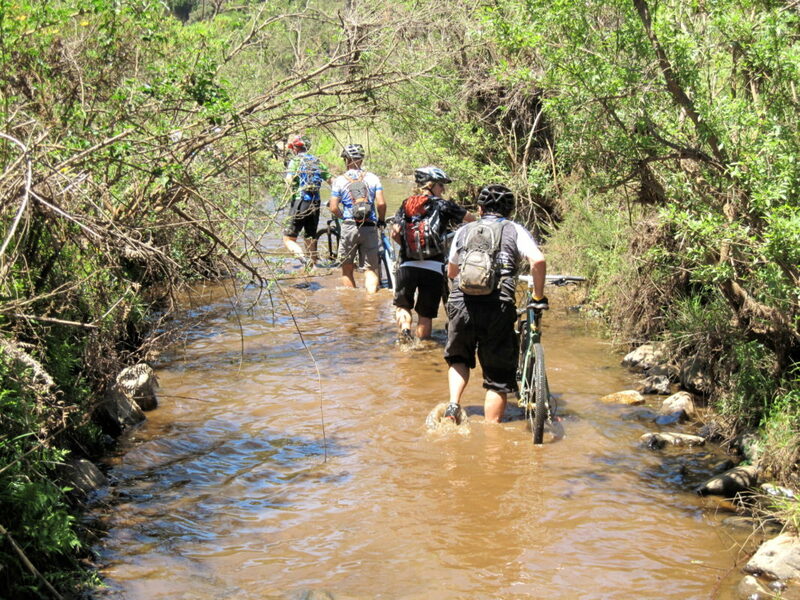 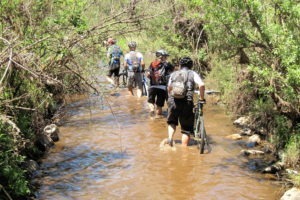 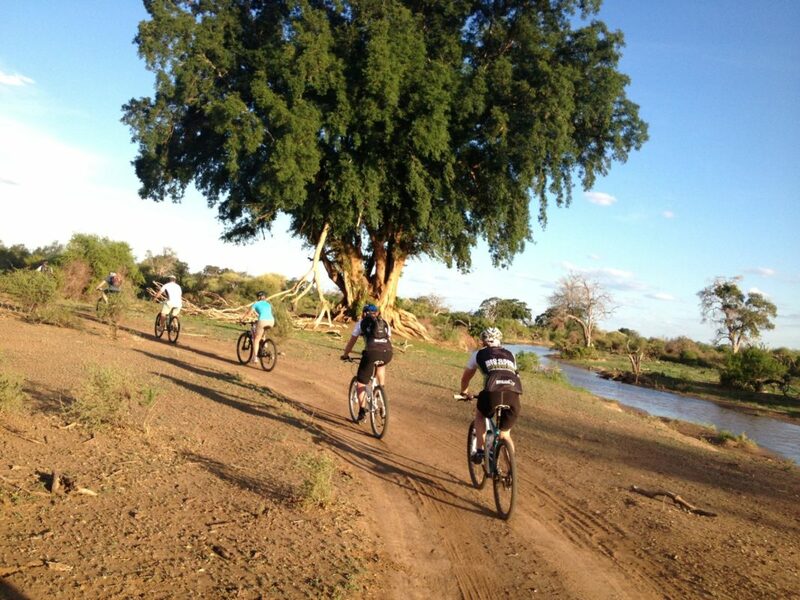 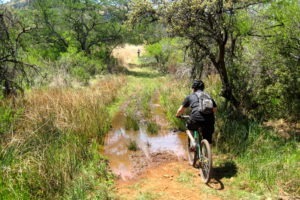 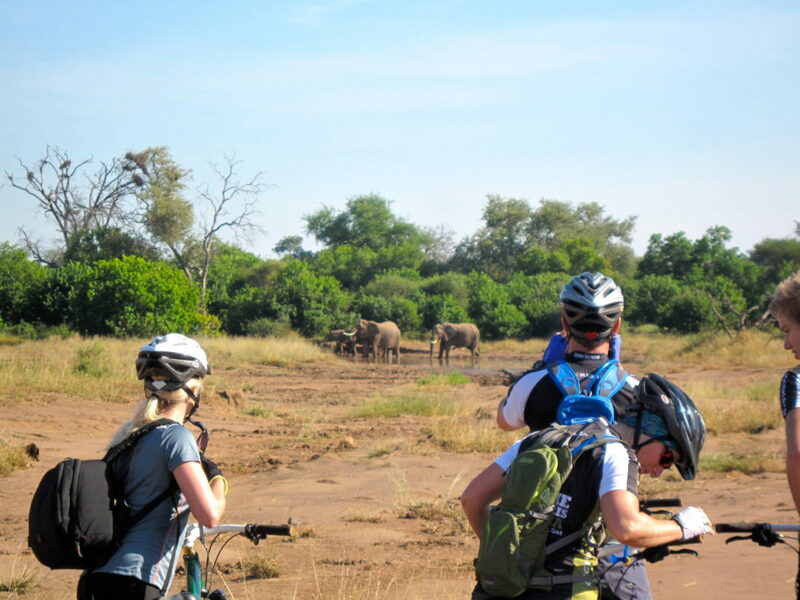 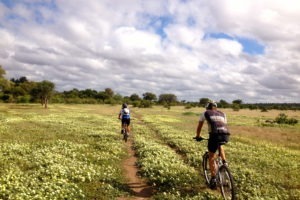 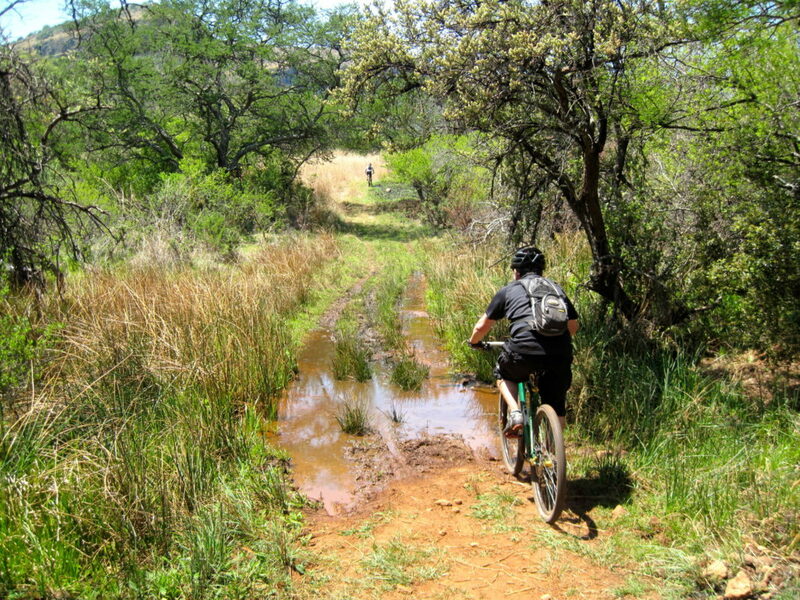 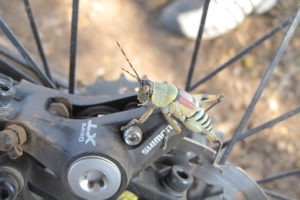 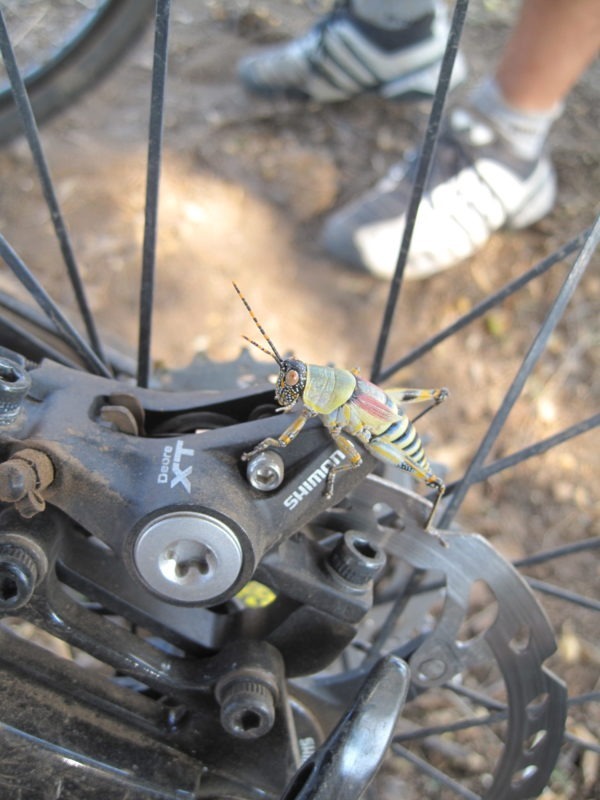 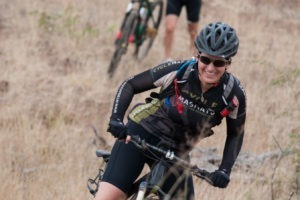 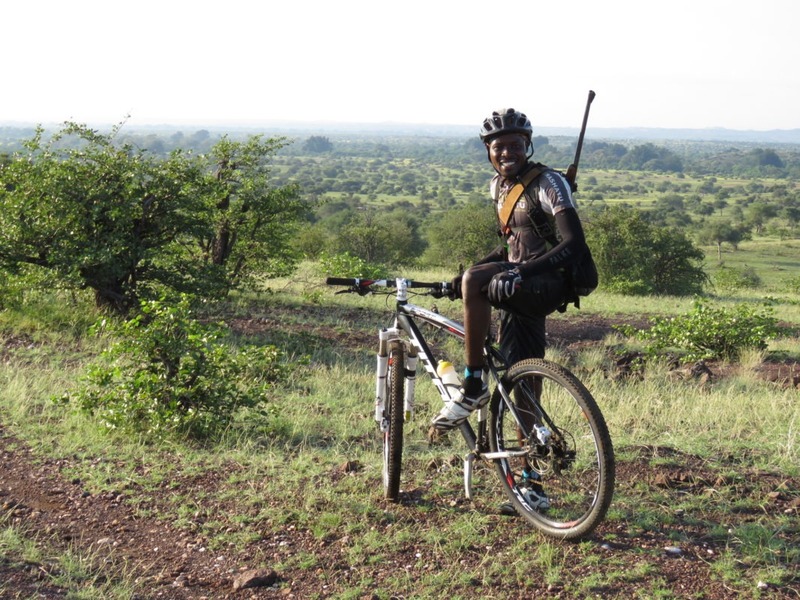 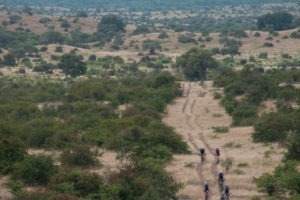 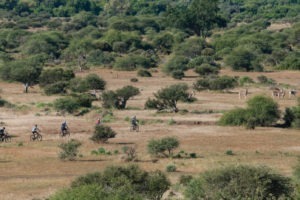 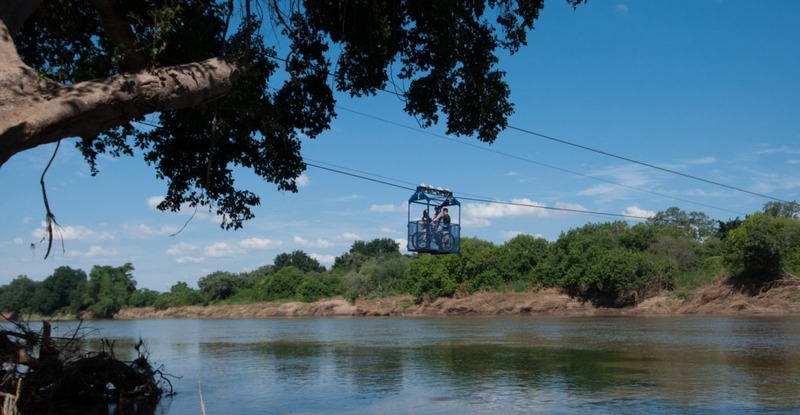 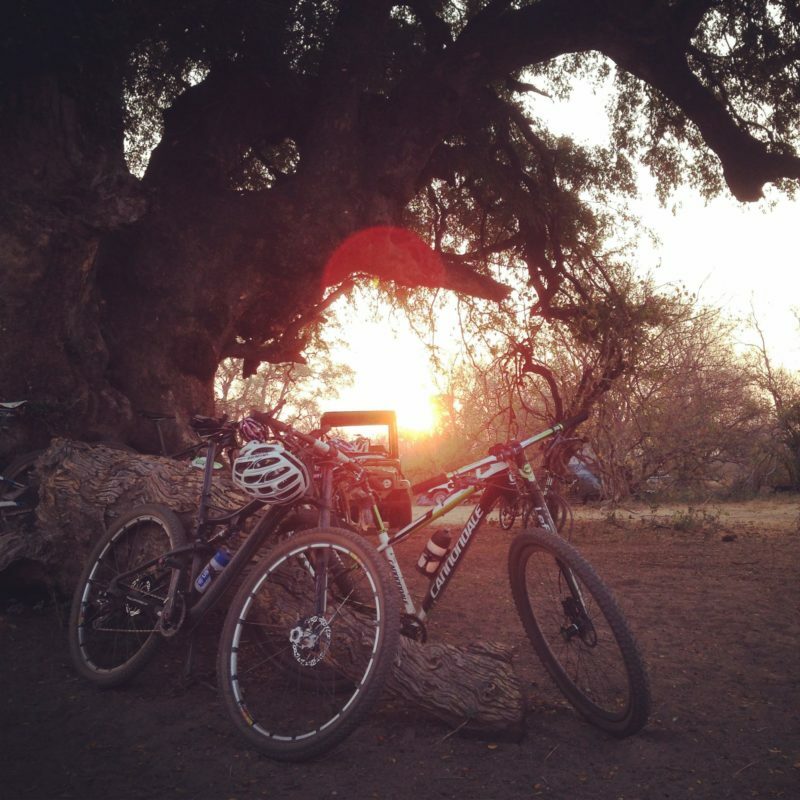 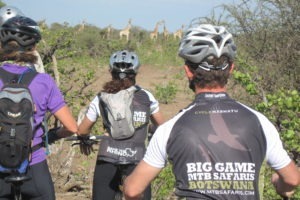 It is an unforgettable wildlife biking experience in Mashatu, the “Land of the Giants”. 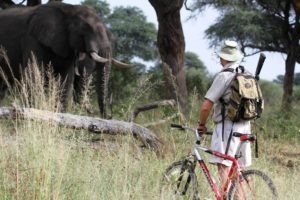 The Northern Tuli Game Reserve is located on the east side of Botswana, bordering on South Africa and Zimbabwe and on the banks of the Limpopo River. 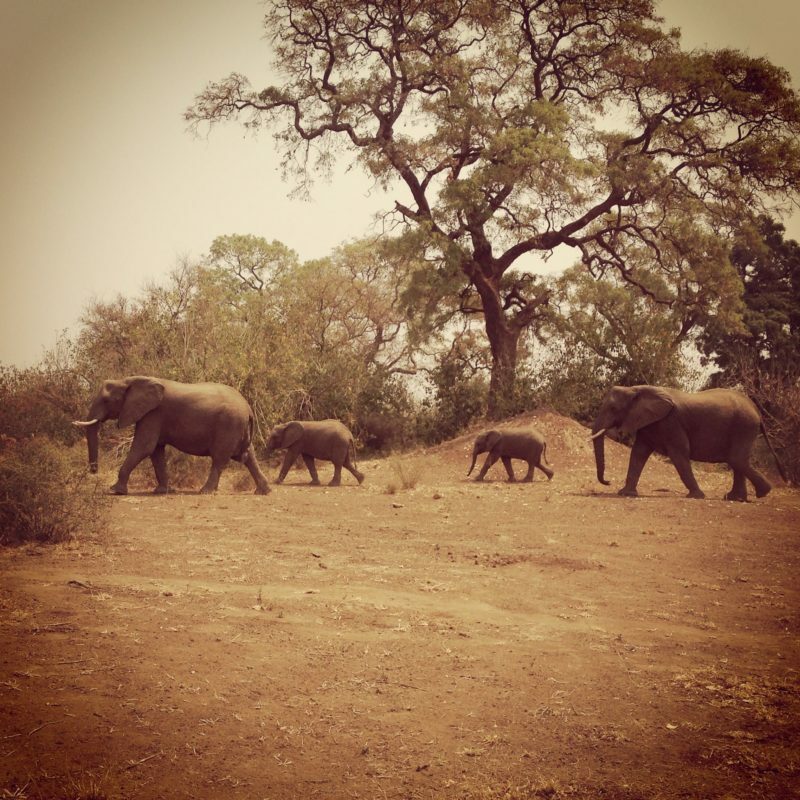 Mashatu Game Reserve is found within Northern Tuli, comprising 40% of the area. 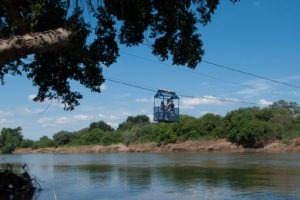 USD $325 per night, per person, sharing. 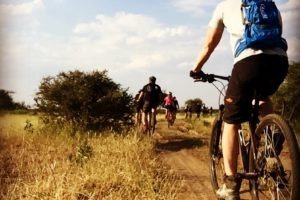 This cost is fully inclusive, yet excludes drinks. 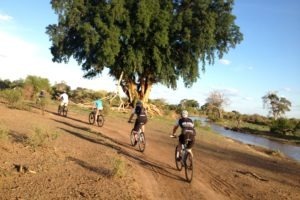 For some pampering after the MTB safari we suggest a two night stay at the luxurious Mashatu Tented Camp which is located close by. 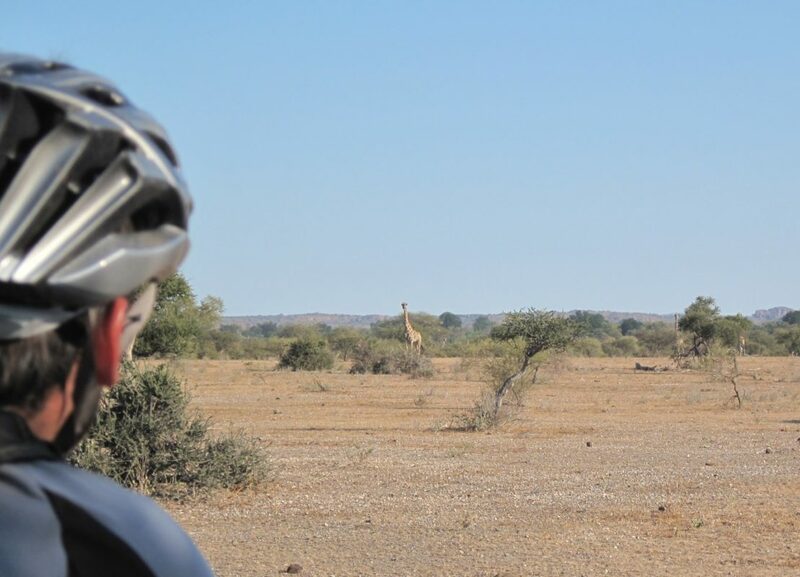 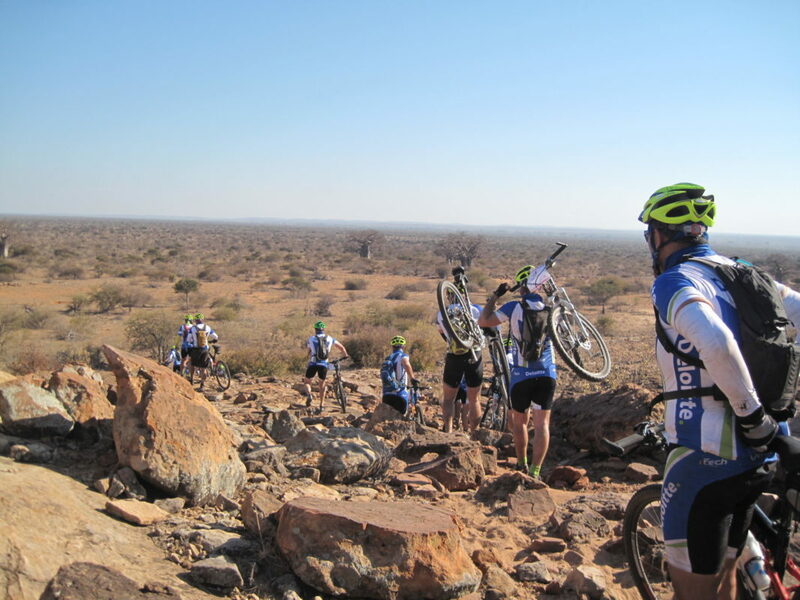 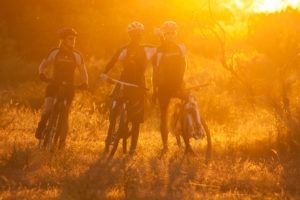 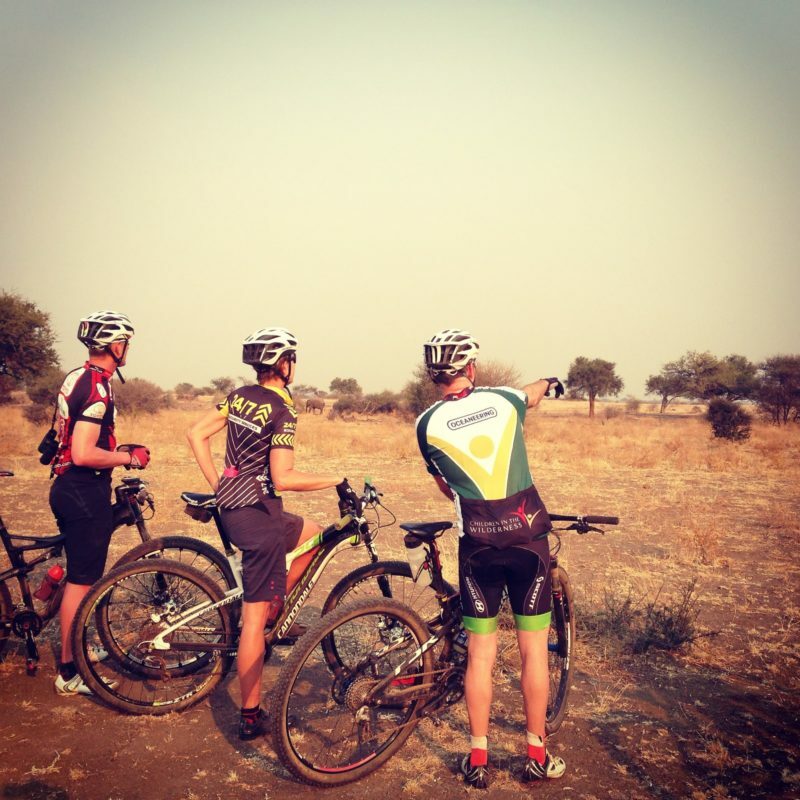 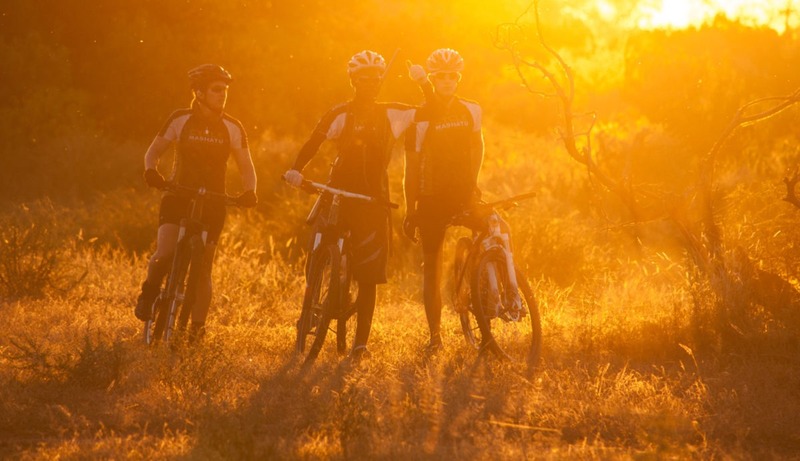 For the serial cyclist who wants more, there are also great rides available throughout South Africa and Namibia.